Varanasi: In a horrifying air-conditioning blast at emergency OPD of Sir Sunderlal Hospital(SSL) , Banaras Hindu University more than 27 people including patients and nurses have been injured badly. The AC blast began with a deafening sound that shook the building as well as the people inside it. It is reported that the blast has heavily damaged the hospital as the false ceiling of the ward came down and the glasses of window panes scattered in and outside the OPD, leading to a chaos within the premises. The fire brigade was called immediately, and luckily there was no outbreak of fire at the OPD. The police then arrived and sealed the OPD. All the injured patients were taken to the trauma center and new emergency ward of Sir Sunderlal Hospital(SSL). AS a result of the blast, twelve of the injured people have been admitted at SSL Hospital and 15 at the trauma center. The police is investigating the case. 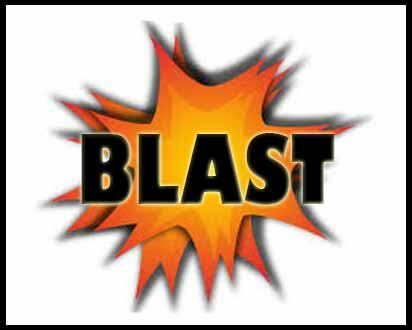 Speaking with the TOI, Bhelupur CO Rajesh Kumar Srivastava explained that on the face of it, the blast seemed to have taken place inside the air-conditioning duct. “It is a technical matter. We will take help of experts in investigation. The blast took place with a deafening sound,” he added. “The blast took place with a deafening sound,” said Rajesh, who was admitted at new emergency ward of SSL. Jitendra from Azamgarh, who came with a patient, also had similar experience. He was admitted at the new emergency ward, while his relative Yashwant Singh was admitted at the ICU. It is reported that BHU vice-chancellor C G Tripathi soon reached the spot to take stock of the situation and see the injured persons. Union minister Mahesh Sharma also visited the hospital. The BHU vice-chancellor has formed a committee to hold an inquiry into the incident.